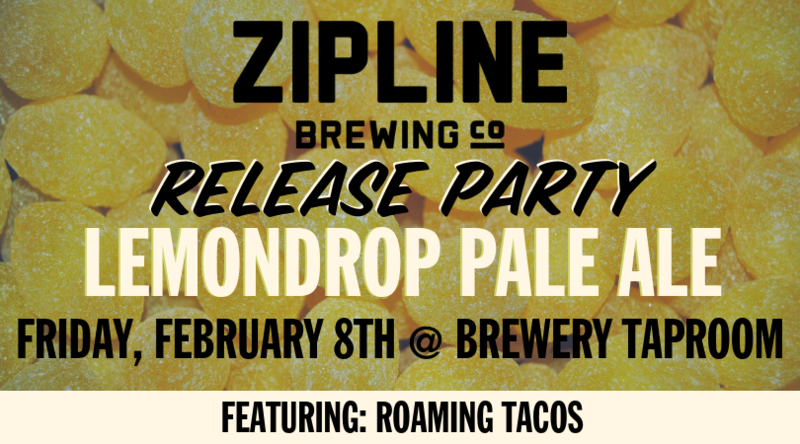 Lemondrop Pale Ale Release Party - Brewery Taproom - Zipline Brewing Co.
Brighten up your winter time woes with spring time in a glass. Join us at the brewery taproom for a pint of our spring seasonal, Lemondrop Pale Ale. Roaming Tacos will be joining us from 530-8pm with their flavor packed, fusion tacos.